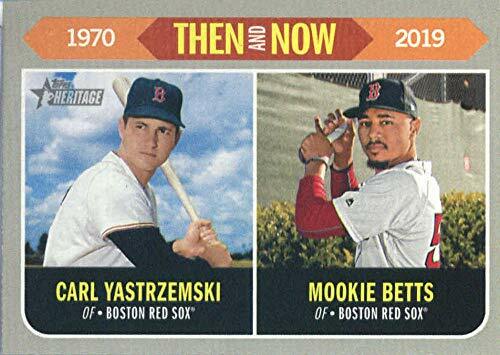 2019 Topps Heritage Then and Now Baseball Card. Collect the entire set and look for inserts here. Single Card Ships in Top Load and Soft Sleeve. Card Condition is NM-MT. We have team sets for Baseball, Football, Basketball, Hockey, and Soccer. We have a large selection of Autographs, Jerseys, and Memorabilia cards! 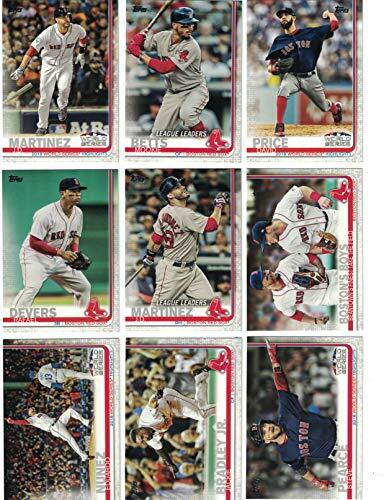 2019 Topps Series 1 Baseball Boston Red Sox Team Set of 16 Cards which includes: Eduardo Nunez(#3), David Price(#13), J.D. Martinez(#23), Boston's Boys(#28), Mookie Betts(#50), Rick Porcello(#54), J.D. Martinez(#76), J.D. 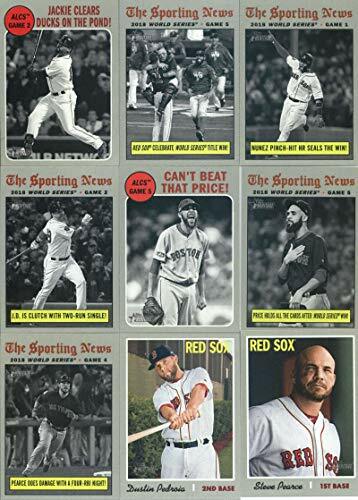 Martinez(#77), Fenway Park(#160), Xander Bogaerts(#167), Jackie Bradley Jr.(#179), Rafael Devers(#228), Mitch Moreland(#262), Steve Pearce(#275), Mookie Betts(#312), David Price(#314) Cards are in mint condition and shipped in a protective snap case! We have team sets for Baseball, Football, Basketball, Hockey, and Soccer. We have a large selection of Autographs, Jerseys, and Memorabilia cards! 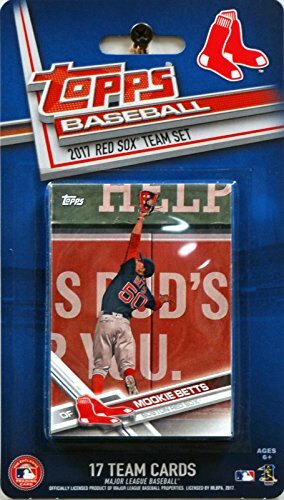 Boston Red Sox/Complete 2019 Topps Series 1 Baseball Team Set! 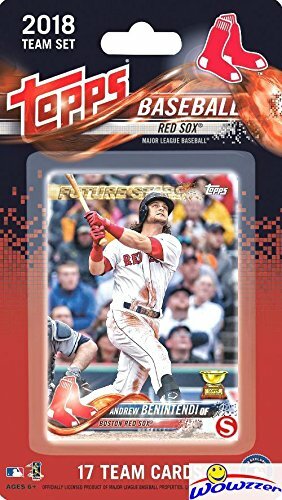 (16 Cards) Includes 25 bonus Red Sox Cards! 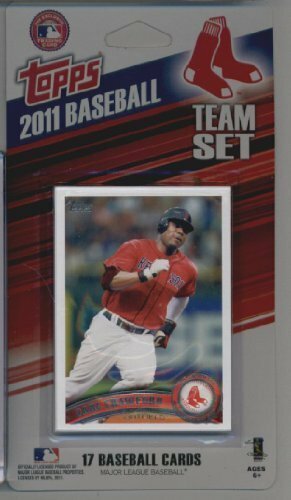 2011 Topps Limited Edition Boston Red Sox Baseball Card Team Set (17 Cards) - Not Available In Packs!! 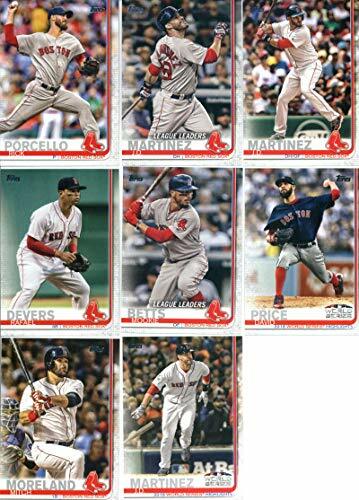 2019 Topps Heritage Baseball Boston Red Sox Team Set of 26 Cards which includes: World Series Champion(#1), Jackie Bradley Jr.(#10), Brock Holt(#39), Mookie Betts(#78), Christian Vazquez(#104), Rafael Devers(#163), David Price(#191), Jackie Bradley(#199), Jackie Bradley(#200), Andrew Benintendi(#201), David Price(#202), Steven Wright(#215), Eduardo Rodriguez(#237), Dustin Pedroia(#251), Steve Pearce(#265), Rick Porcello(#279), Eduardo Nunez(#305), J.D. Martinez(#306), Steve Pearce(#308), David Price(#309), Red Sox Celebrate(#310), Eduardo Nunez(#340), Chris Sale(#350), Mookie Betts(#358), J.D. Martinez(#359), Mitch Moreland(#385) Card Conditions are NM-MT. Team set ships in a protective snap case. We have team sets for Baseball, Football, Basketball, Hockey, and Soccer. We have a large selection of Autographs, Jerseys, and Memorabilia cards! 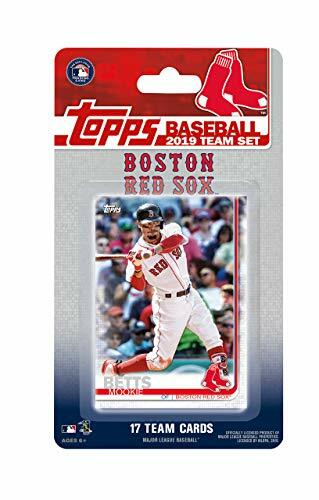 This is a 2017 Topps Boston Red Sox Factory sealed special edition 17 card team set; cards are numbered BOS-1 through BOS-17 and are not available in packs. Players included are Mookie Betts, Eduardo Rodrigues, Pable Sandoval, David Price, Andrew Benintendi, Brock Holt, Hanley Ramirez, Mitch Moreland, Tyler Thornburg, Craig Kembrel, Rick Porcello, Dustin Pedroia, Xander Bogaerts, Chris Young, Steven Wright, Jackie Bradley Jr. and Chris Sale. Boston Red Sox Baseball Cards - 25 Different Topps Cards from the last 10 Years!! Boston Red Sox Baseball Cards - 50 Different Topps Cards from the last 15 Years!! Want more Topps Boston Red Sox Baseball Cards similar ideas? Try to explore these searches: Striped Gown, Topaz Water Goblet, and Classic Candle.